I said my rosary with arms extended. At the third mystery the pain was so great that I felt I could not possibly continue; but at each Ave (Hail Mary) I prayed for strength and was able to finish it. This has given me great consolation by showing the many hard things I could do with the help of prayer. COMMENT: Fr Doyle was greatly devoted to the rosary. It is interesting to read accounts of how the rosary consoled worried soldiers who were facing probable death. He regularly arranged the public recitation of the rosary for the troops, and I have read private accounts of how he would personally say the rosary with soldiers suffering from particularly severe fear, sometimes giving them his own rosary beads as a gift. I have received emails from families who have treasured the rosaries that were given by Fr Doyle to their ancestors who fought in World War 1. St Pius V is known as the Pope of the Rosary because he encouraged Catholics to pray the rosary for the success of the Holy League. The feast of Our Lady of the Rosary now falls on October 7, the date of the Battle of Lepanto, and it was originally instituted by St Pius V as the feast of Our Lady of Victories. 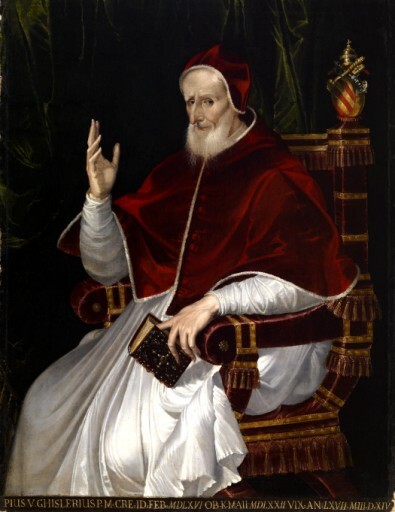 St Pius V lived at a very difficult time in the life of the Church, and had to make many difficult decisions. Let us pray to him today for Pope Francis who faces his own challenges at this difficult time. Let us also remember the importance of the rosary in our own lives as we prepare to commence the month of May, traditionally dedicated to Mary. COMMENT: Today is the feast of St Catherine of Siena. Catherine is one of the greatest saints in the Church – she was a phenomenon in her own time and is a Doctor of the Church and one of the patron saints of Europe. She is also surely one of the great women of history. There are two points that we might usefully ponder today. The first relates to Fr Doyle’s quote above. Holiness involves faithfulness to duty and is not dependent on great penances or indeed on mystical phenomena or the great achievements we find in the lives of some saints like Catherine. In fact, St Catherine teaches us a wonderful way of performing our duties well. She was somewhat mistreated by her parents as a teenager – she wanted to live in solitude and prayer but her parents would not allow this. She was forced to work in the house and serve them, even though she didn’t want to do so. In order to overcome her dislike of this task, when serving them at table she would imagine that her father was Jesus, that her mother was Mary and that her brothers were the Apostles. This helped to inspire in her the charity that she did not naturally feel at that time. The second relates to Catherine’s great love of the Pope. She defended the papacy against anti-popes, and she worked to ensure that the papacy returned to Rome from Avignon. Let us therefore support and pray for Pope Francis today. I do not know if I have told you of a scheme which I have in my mind to help poor boys who are anxious to be priests. Before the war I came in contact with a number of very respectable lads and young men, whose one desire was to work for God and the salvation of souls, but who, for want of means, were not able to pursue their studies. I was able to help some of them and get them free places in America or England, with a couple at Mungret, but the number of applicants was far in excess of the resources. One day having successfully negotiated or missed a couple of shells, I was struck instead by a happy idea. I was coming home on leave and made up my mind to make an experiment with my new idea, which was this. I gave a little talk to the Sodality of the Children of Mary in a certain convent in Dublin on the need for priests at the present time, and what a glorious work it was to help even a single lad to become one of the ‘Lord’s Anointed.’ I told them how many were longing for this honour, and suggested that they should adopt some poor boy and pay for his education until he was ordained. Two hundred girls subscribing 5/- a year would provide £50, more than enough for the purpose. I suggested that this money ought to be the result of some personal sacrifice, working overtime, making a hat or dress last longer, etc., but as a last resource they might collect the 5/- or some of it. The idea was taken up most warmly: nearly all the money for this year is paid in, though the girls are nearly all factory hands, and the lucky boy will begin his college course in September. I am hoping when the cruel war is over to get the other convents to follow suit; for the scheme is simple and no great burden on any one, and is a ready solution of the financial difficulty and should bring joy to many a boy’s heart. Certain difficulties naturally suggest themselves, but I think we may safely count a little at least on our Blessed Lord’s help, since the work is being done for Him, and go on with confidence. COMMENT: Fr Doyle wrote these words in a letter home to his father in July 1917, just three weeks before his death. How remarkable that, even in the midst of some of his darkest days in the war that he was planning future apostolic initiatives. It is even more extraordinary that he launched this initiative when on leave from the Front, when most other people would simply take life easy and enjoy a well earned rest. Today is World Day of Prayer for Vocations. We all have a vocation in life, and our sanctity largely depends on our conformity with that vocation and our fulfillment of the duties that attach to that vocation. However, this is a day when we specifically pray for priestly and religious vocations. That isn’t because the vocation to the married or single life aren’t important or aren’t paths to sanctity. 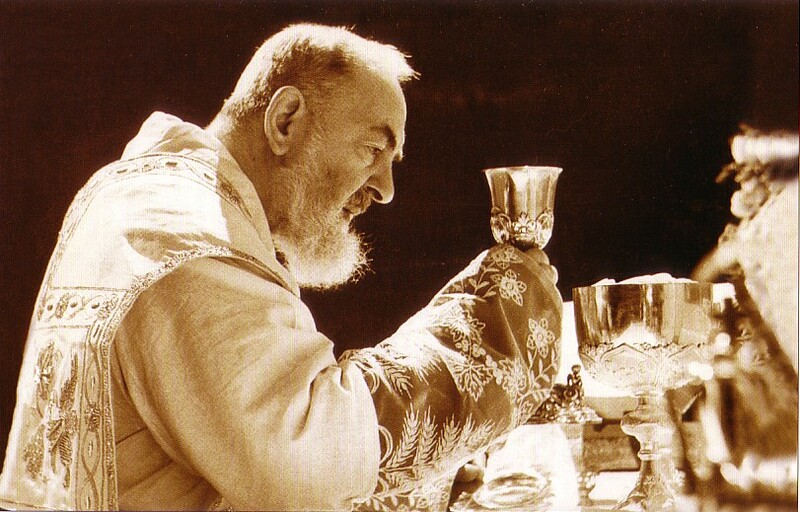 They clearly are paths to great holiness if they are embraced with fidelity and generosity. Instead, we pray today for priestly and religious vocations because the Church needs these vocations and because Christ still calls people to follow Him in this special way and because this call is often harder to discern and harder to follow (initially at least) in the cultural context in which we live in the secular West. 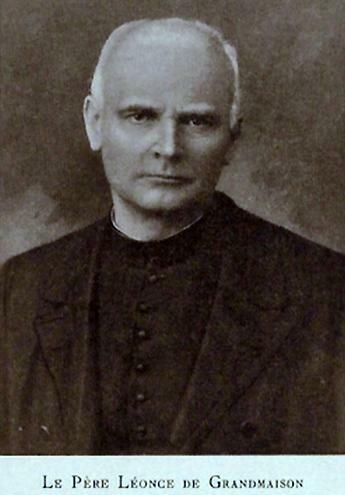 Fr Doyle was an enthusiastic and effective promoter of vocations. Not only did he provide spiritual direction for those discerning a call, he also provided practical help as well. In addition to the above mentioned fundraising schemes he also helped to place young women in convents. Specifically, found places in convents around the world (including America, Australia and South America) for women who could not find a suitable convent in Ireland due to ill health or other restrictions. Let us remember that this was before the advent of the internet! Fr Doyle’s global efforts show the importance he placed on vocations. His efforts for female religious vocations were not limited only to overseas convents – he also founded the Poor Clare convent in Cork city, and was a spiritual director to many nuns around Ireland. Some of Fr Doyle’s most famous pamphlets were on vocations, and links to them can be found here. These pamphlets sold tens of thousands during his life, surpassing all expectations. What a consolation it must have been for him when he received letters from priests and nuns informing him that his writings helped them discern their true calling. The impact of these pamphlets was still felt decades after Fr Doyle’s death. Recently I received a letter from a retired English priest. He reported that when he was a soldier in the Second World War his chaplain gave him a copy of Shall I be a Priest, and that it was this pamphlet that set him on the road to the priesthood. He was ordained in 1953. Years later he met the chaplain again, and was informed that at least 11 other soldiers to whom the chaplain had given this pamphlet went on to become priests. Tomorrow we will reproduce the text of a letter he wrote a year later in which he gives even more details of the danger he faced on this occasion (he didn’t reveal everything to his father all at once in case it worried him) and on Tuesday we will reproduce part of a letter which reveals some of the harrowing work he had to undertake in the days following this gas attack. There are some lessons today for those of us who struggle with our own mediocrity.